On display April 11-15 on the first and second floors of Wasserstein Hall. One of the benefits of attending Harvard Law School is that it gives you a lot of freedom to carve out your unique career path. In fact, Harvard Law School graduates have more choice than most other graduates from any kind of school. Many students come to believe, however, that there is only one path – to go to a firm after 2L summer and then go to one immediately upon graduation. That is a great option for students truly interested in law firm practice, but there are many more options if that’s not what you want to do. If you summer at a firm, you can still enter public service at graduation. And if you pursue public interest work at graduation, you can still go into private sector work later on. 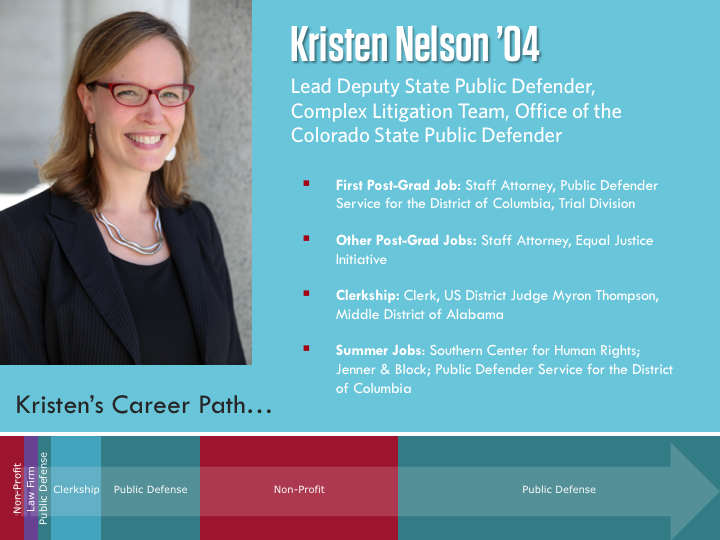 Through these examples, we highlight the paths of a number of alums who have taken varied career routes. 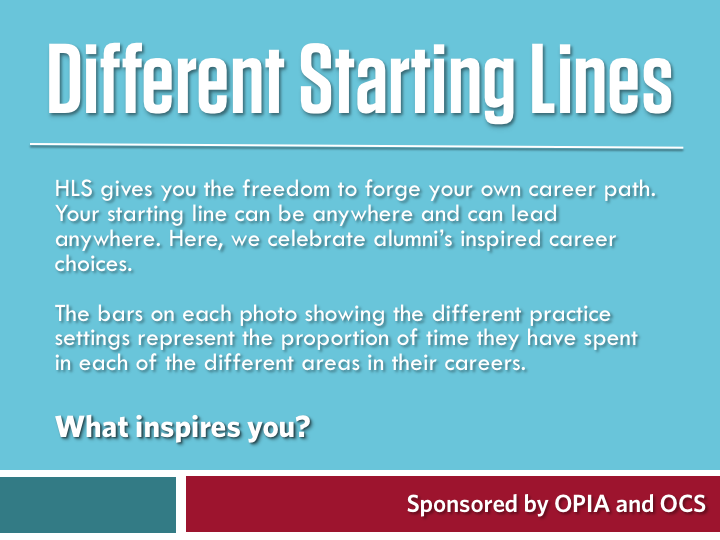 The bars on each photo highlight the proportion of time alumni have spent in each of the different practice settings of their careers to demonstrate that you can move from setting to setting — and that you should do it your way.